Theme Resorts and Spas will launch world’s first hotel in Kandy built on the top floor of a working tea factory. Chairman, Theme Resorts and Spas, Chandra Wickramasinghe, told ‘Daily News Business’ that they have already acquired an abandoned tea factory in Kandy for this project. “We will first invest to get the factory running by purchasing machinery,” he said. 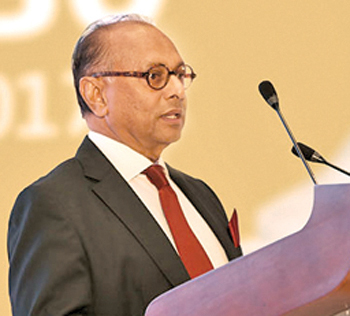 Chandra Wickramasinghe, who was awarded the ‘Tourism Legend’ title at the recently concluded sixth Tourism awards said that they will offer mixed accommodation and have a dometry and also six rooms under this project,” he said. His key achievements include the forming of the inbound tour operator Connaissance De Ceylan in the early 1980’s. Thereafter, he ventured into hoteliering by building the Culture Club Kandalama in 1994 (now known as Amaya Lake) and then, Le Kandyan (now known as Amaya Hills). His passion and interest in building unique and authentic properties continued as he embarked on a project in the East, the Maalu Maalu Resort & Spa in Passikudah after a 30-year civil war in the country. This success inspired him to create: Aliya Resort & Spa – Sigiriya, Kithala Resort – Tissamaharama, Mountbatten Bungalow – Kandy, Scottish Planter Glendevon Bungalow – Nuwara-Eliya (The Best Bungalow in Sri Lanka, 2018) and Ayurvie – Weligama. He also heads CDC Events (Connaissance De Ceylan Events) which is one of the most recognized event management companies, in Sri Lanka.